Speculation Builds That San Diego Mayor Is On His Way Out : The Two-Way Democratic Mayor Bob Filner has reached a tentative deal to settle a suit brought by one of the women who accuses him of sexual harassment. Details of the deal, which must be approved by the city council, have not been released. The Union-Tribune, though, says it sets the stage for his departure. San Diego Mayor Bob Filner (D). "Due to the confidential nature of mediation and settlement discussions, we are unable to comment or make statements about any of the terms," the law firm Payne & Fears said in a statement. "A meeting of the City Council is scheduled for 1:00 p.m. on Friday, August 23, 2013, at which time it is expected that the City Council will vote on the tentative agreement. A public announcement will be made following the vote." "San Diego Mayor Bob Filner has agreed to resign as part of a deal reached this week with city officials," the city's NBC 7 News reported just after noon ET Thursday. Later, around 1:30 p.m. 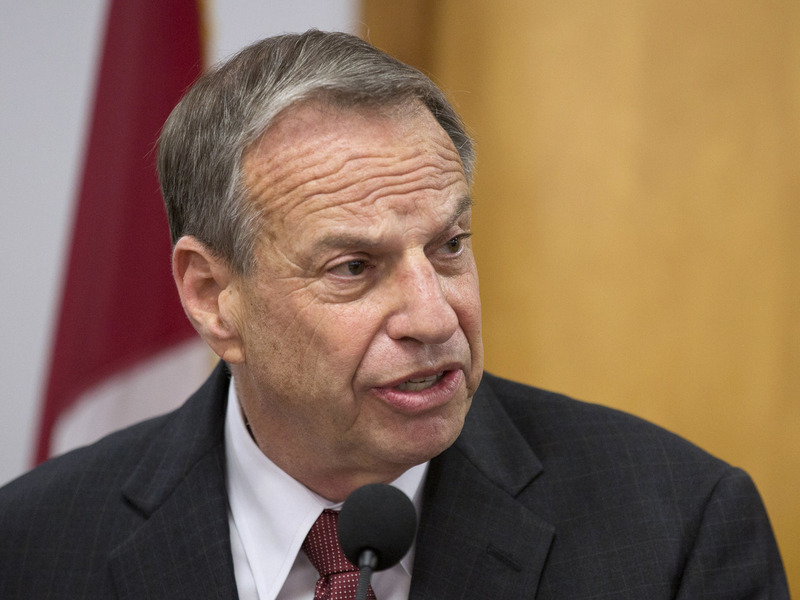 ET, the Los Angeles Times said it too had been told that Filner will step down. The Times cited "sources familiar with the negotiations." As we said earlier, talk that the mayor would be stepping down increased Wednesday with word that he had reached a settlement with a woman who sued him for sexual harassment. San Diego's 10News is saying that Filner is "prepared to resign from office." NPR has not independently confirmed this latest news. The news that a tentative deal has been reached to settle sexual harassment claims against San Diego Mayor Bob Filner has led the U-T San Diego to conclude that the stage has been set "for the end of his brief, scandal-plagued tenure as San Diego's 35th mayor." "A proposed resolution has been reached on the third day of mediation ... but the actual contents of the proposal are still confidential. The mayor has been in talks with the City Attorney, members of City Council, and Gloria Allred — the lawyer representing the former communications officer suing the mayor and the city." So, since no details have been released, it's not certain yet whether the Democratic mayor's resignation is part of the deal, The Associated Press says. The mayor and his aides were seen loading boxes into an SUV on Wednesday. In previous public comments, the first-term mayor has said he does not intend to step down. Barring leaks about the deal's specifics, all may not be known until Friday afternoon when the San Diego City Council is due to vote on the agreement. KPBS reporter Sandhya Dirks reminded NPR Newscast listeners this morning that more than a dozen women have accused the 70-year-old Filner of sexual harassment. The lawsuit that has led to the tentative deal was brought by the mayor's former spokeswoman. KPBS has collected its coverage of the accusations against Filner here. Its package includes a "What Happened When" interactive timeline that has lots of background.